Thread: Glock 19 OWB Holster Suggestions. Hello all. 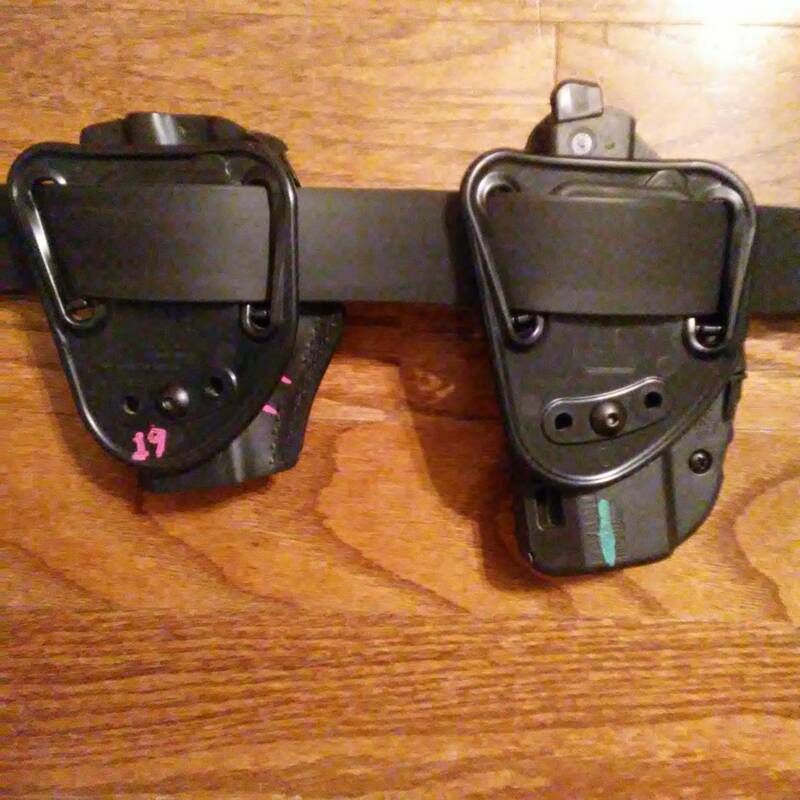 I'm in search of an OWB holster to replace an old Blade-Tech IWB that I find uncomfortable. My budget is around $40-50 and I'd like it to be as concealable as possible. if I wanted. I'd love to hear feedback on these or any other suggestions, including leather options too. 7ts is concealable, but is bulkier than a molded kydex or leather holster due to internal standoffs. I would vote for the 7ts plus a separate iwb. The ALS is nice and makes for a super smooth draw. Last edited by jsbhike; 02-11-19 at 16:53. "One cannot awaken a man who pretends to be asleep..."
Do the 7TS belt loops give a closer fit to the body compared to the Clip-on attachement or Paddle? The Tenicor's look nice but unfortunately out of my budget. Don't have them in front of me, but guessing the 567bl backers in the pictures are 1/8" to 3/16" thick and they are flat to the back when installed so the belt is actually flexing them similar to a leather pancake holster. The paddle back is probably about the same offset on paper, but I think in practice a 19 won't be any closer to the body since it won't be quite as stable due to being a paddle and sitting higher. That isn't a knock on Safariland, since it is better than a lot of others, just not as good as the 567bl. The downside of that stability is, in my opinion, their paddle isn't easy off and often requires loosening the belt to remove so there is that. No experience with the clip on with the holsters, but assuming it is the same hinge and latch gadget as I have on a Safariland 12 ga stripper it won't hold the belt as close to the holster or be as stable as the 567bl. And while it does sit higher, it also has a curve to it (angles in to the wearers body at the loops to be more precise) that causes an offset to the holster. I ended up sticking it in a QLS set up for a 7ts light bearing holster that hangs too low to practically conceal. Wish it was flat like the 567bl, but no dice. Last edited by jsbhike; 02-12-19 at 14:23. OP, do you prefer Kydex or leather? Will you be carrying at roughly 3:00 or so? Do you require any retention features? The Raven Concealment Perun is a really good deal for its price, in my humble opinion. I have been running one for a Glock 19 for about 6 months with no issues. I have been using their G17 version in classes for the same amount of time, with no issues. The Tenicor is nice, but they only make one OWB holster and it's nearly double the requested price range. Raven Concealment Phantom is still my favorite. It's a little more than your budget but maybe you can find a used one. Kydex or Leather..I don't really prefer one over the other, so open to either option. I can go either way on retention features too. Roughly 3:00 or so is were I do intend to carry. 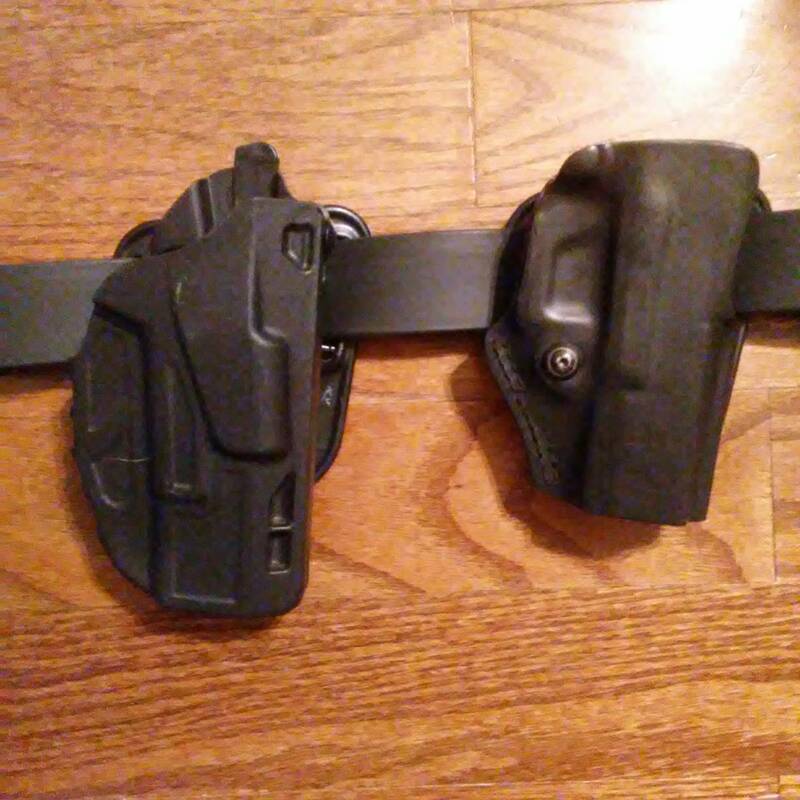 This will be my first OWB holster, bur probably not my last since I'm uncertain what exactly works for me. I have considered the Raven Perun, though the reviews I've read seem to be a bit mixed. How is the adjustable tension on the Perun? I ready somewhere that even when tightened all the way, it's still kind of loose. Something to remember is that the dimensions of Glock slides actually vary quite a bit more than one would think. Michael, the owner of RCS, has mentioned that several times. Spencer Keepers, who makes an awesome AIWB holster, has told me the same thing. So it's entirely possible that someone got a Glock that is a bit smaller. I think if you touch base with a lot of holster makers, you will hear the same thing. Both of my Perun holsters are fine, and have no issues.